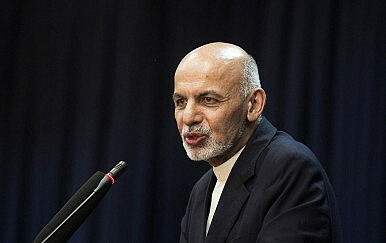 The Diplomat’s interview with the new president of Afghanistan. Among political figures in Afghanistan, Dr. Ashraf Ghani is unique. Unlike the majority of the established political players in the country, the economist turned politician does not share a Mujahideen past. The former World Bank executive first entered the popular consciousness after 2001 when he returned to his motherland from the United States, leaving a secure job as an academic and economist to join the interim government. He subsequent brought far-reaching economic changes in the country as a finance minister, among them a new currency. Now president, Ghani’s ascendency takes place at a critical time. The local economy is struggling, the majority of international troops are set to leave the country, and the Taliban is making a concerted effort to wrest initiatives from the elected government. What will your first steps be after taking over the government? On the first day, I would appoint a commander-in-chief. That is a constitutional duty, so that every eight hours I have a report. The second would be to call a meeting of the National Economic Council so that we can address the issues of national unemployment. This council would meet every week with business leaders and other stakeholders to be able to move forward. The third would be to initiate reviews of all ministries in the provinces, this I have done in the past. This would be a consultative exercise. In thirty days we would redefine the functioning of the ministries. In the process we are going to change the character of the national government. Forty percent of the national budget is going to go to the sub-national governments directly, thereby changing the process that [currently] allows a transfer of money in a roundabout system. There would be a sense of public participation; we are going to engage the public in the capital city. The first order would be to deal with traffic and second would be to focus on housing and then with jobs. How will you create jobs? We will harness Afghan money. [Private sector money] has not been harnessed due to corruption and a lack of security. Afghan businessmen have been kidnapped in a very organized manner and they are spending millions of dollars on their personal security. We are going to establish a single office where all public land is concentrated in that office. A law will be made where all the land is distributed in a legal manner to create jobs. I will personally see to it. Second, we have commitments from the international community. We have not been able to utilize all the money coming from the donor countries. I will devise a plan and strategy to utilize the funds for the public good. The social model I will draw from the West. We need to define the model for the economy of a country like Afghanistan which is landlocked. Our goal is to transform Afghanistan into transit hub for the region and that means we have to create the conditions for that. We are going to harness local resources and complement them with foreign aid and transform the Afghan economy in a way that has never been done before. How will you transform the country without a sound security system? I don’t think security is a precondition for everything. Kabul is in a mess not because it is insecure – it is a lot more secure than Karachi. It is lack of policy [that is the problem]. The municipality does not have right kind of power. It has been extremely corrupt. Every Afghan city is more secure than the cities of Pakistan. We are capable of moving. We have sufficient forces to secure the main ring road that encircles Afghanistan. What we need is accountability. In the absence of accountability some of the security forces themselves have become a means of insecurity. When we have thousands of security forces along the road, why are our trucks are being burned. We have to tackle corruption – it is a driver that guides insecurity and criminality. We need to enlist public support for this. How you are going to tackle the insurgency. What is going to be your strategy for the Taliban? When the Taliban was making inroads the context was different. When you have an overwhelming presence of international forces in this country, peace was not at the top of the agenda. War was. Second, the regional environment was different. Sanctuaries were being provided in our neighborhood for armed forces against all international laws and decent behavior. Third, as corruption became wider the use of force became more irresponsible. There was a reaction. Lots of people were hurt. The context is now different. One, with the January 2013 announcement of President Obama that there is a need for political engagement and there is a difference between the Taliban and al-Qaeda, the international perspective changed. Two, the success of the security transition ensured that everybody in the world realized that the presence of the international troops in Afghanistan is not something that the Western governments wanted. Now, no one can say that international forces are here for the long term and or they are here for other conspiracies. There is going to be just a small number of international troops here. Third, the region has changed. A new government has come in Pakistan. For the first time an elected government has completed its term in Pakistan and a political transition has taken place in a democratic manner. This new government realizes the deep economic problem that the country faces. It also realizes that extremism cannot be bounded in a neighbor or used against a neighbor that it is a threat to all of us. Lastly, the Afghan public has changed profoundly as a result of this election. We have seen that no threat could prevent the people in Afghanistan from participating in the electoral process. In 2009, when people were threatened, they cowered, but now they [braved the risks]. The rallies I held in Paktia, Jalalbad, Loghar, Khost, Helmand, Kandhar – areas where the Taliban dominance is taken for granted – defied fear. Afghans are no longer fearful. We will honor those who have lost their lives in this election. The public realizes that we need to change. Enduring peace cannot be held hostage by minority threatening to take the country hostage. We are offering the hand of peace to insurgent groups. If it is rejected then they will be responsible. Will you be signing the BSA (Bilateral Security Agreement) and will you allow the presence of a small number of international troops in your country? Yes. As one of the chief negotiators of the BSA I have read every word. I have argued over it quietly but determinedly. The BSA draft of two years ago compared to the text we have agreed on is enormously different. This BSA is respectful of our sovereignty – actually it underwrites it. For the first time, the presence of international forces and their use is going to be governed by Afghan law. Right now, the use of international force in the country is governed by the law of the United Nations Security Council. I find the BSA in our interest, I find the Chicago process in our interest because our security forces need support for the next ten years. Outgoing President Hamid Karzai has been critical of the US administration and has said time and again that he does not trust the intentions of America? What is your take and how you look at the U.S.? President Karzai came to the office in a difficult and different context. The issues that he raised would not resolve without public dispute. My model for the relationship is the way I handled the security transition. Diplomacy is quiet. It is not going to be megaphone diplomacy under my leadership. What brings us together is the mutual danger and mutual interest. The mutual threats that bring us together….your security and our security is linked. That means we have a strong foundation. Its not charity that brings them here…it is the nature of the threat. What brings us together is the mutual interest in building an Afghanistan that us stable, prosperous, free of corruption, and efficient. Based on that we have an opportunity not only with President Obama but with every world leader whose country has put blood and treasure in Afghanistan to form a new partnership – a partnership that is going to be a virtuous circle of mutual trust. You have seen the Afghan public, especially the loya jirga, expressing consent to the relationship. The consensus is that the politics of extremism whether of left or right is going to be over. What role you expect for Hamid Karzai after he leaves office? Hamid Karzai is the first leader in the 5000 years of our country’s recorded history who is conceding authority on the basis of our constitution. Regardless of his other accomplishments, this makes him a historical figure. I want to create an office of the national leader that he would lead, and he will have staff, a different budget, and a voice on regional, national and international issues. And I will consult with him. It would be more than an advisory role. Succession in the Muslim world in general and in Afghanistan has been a problem throughout history. Therefore, for the first time in our history we are solving the problem of succession in Afghanistan. I want to make sure that we honor our past leaders so that there is a sense of trust in our future. Leaders of this country need to feel absolutely honored and secure in the country and participate here as elder statesmen. How would you describe the legacy of Hamid Karzai? President Karzai’s legacy is going to be judged by history. You need to wait. How do you intend to fight corruption, which is eating away at the government? I fought corruption when I was minister for three years. I made the currency of this country. Our currency had become worthless. Before that, a container of currency would come and would be distributed among the political elite. I centralized the revenue of the country. Earlier, revenue was being taken away by the strongmen of the government; I brought them under the rule of law. I created an electronic payment system. Customs were reformed. I created the telecom sector, created the foundation of the national army. In three short years, every program that is functioning in the country I have had the privilege of creating. I left government in 2004 because I felt that my agenda of anti-corruption would not have elite consensus. As president I will have that consensus. People have voted for me on an anti-corruption agenda and I promise them a clean government. Some have questioned your choice of vice president in General Abdul Rashid Dostum, who is generally hailed as a human rights violator and a divisive figure. Peace requires coming to terms with these people. World history gives you different models for coming to terms with past. Germany chose historical amnesia, South Africa the Truth and Reconciliation Process, Rwanda a different model of public discourse. Transitional justice is an important issue. General Dostum is the only person engaged in this way who has asked for public forgiveness. If you are going to make peace you are not going to make peace with the people who have not fought. Tomorrow if we are going to bring in the Taliban then how we are going to engage with them if we don’t demonstrate an inclusive model. General Dostum is a political leader of a mass movement and his election with a huge margin in 2004 proves that. I am honoring the aspirations of those people because he has lifted people who didn’t feel included. Our national unity demands that we take as our partner [the person] history has given us, not [the person who fits] our ideological desire. When you want to bring in a centrist consensus you need to break this extremism. How you see the ethnic fault lines of the country. Ethnicity is a factor, but it is just one factor. We have one million internally displaced people. Ethnicity does not define them. We have five million refugees, a fifth or sixth of the population. Poverty is not defined by ethnicity. The overwhelming majority of the youth of the country are defined by their aspirations. The politics of the country prior to the elections had become ethnic, but the aspirations of the people are not prisoners of ethnicity. What role you define for women in society? The problem of women in the country is not defined by ethnicity. Everybody describes women as their sisters, daughters, mothers and wives, but they are women first and I want to engage with them as women. They have a quiet voice. Afghan women can become formidable political actors. Now their agenda for inclusion is second to none. They don’t need to be represented by men or by foreign women; they can speak for themselves. How do you see the role of your wife when you assume office? She was a visible face during your election campaign. She is much smarter than me so I hopefully she will advise me the way she has advised me for all the 38 years of our marriage.